African mangosteen, as its name indicates, is a fruit of Africa. It bears very tasty fruits. The African mangosteen is widespread in the warmer parts of Africa, from just north of Durban as far as Somalia and Guinea. In this range it encounters widely varying rainfall (from about 200 to 1000 mm a year) and soil types. However, the temperature is a unifying feature: winters (as far as they exist) are warm and summers are hot to very hot. The trees are notably sensitive to cold, though quite hardy to both drought and heavy rain. Description African mangosteen is a small tree reaching 18 m in East Africa, pyramidal when young but later spreading, with thick, woody young branches and yellow to red resin. Leaves usually 3 in a whorl (may be 4 or opposite), variable in shape but usually egg- or lance-shaped, generally 60–110 × 30–55 mm, blue-green with whitish veins, waxy. Flowers in groups of 5–15, in leaf axils, on old wood, greenish, whitish or yellow, scented, male and bisexual flowers of different structure. 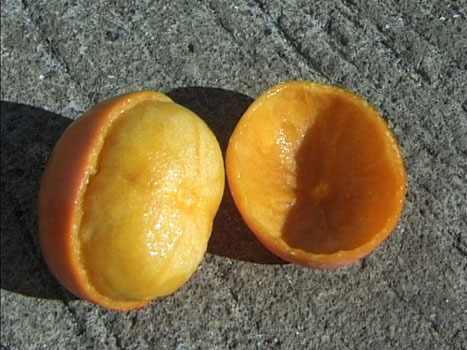 Fruit an orange berry, 10–40 mm in diameter, with yellowish orange having a sticky juice. African mangosteen bears delicious fruits. Though these have a sticky juice these are liked and eaten. 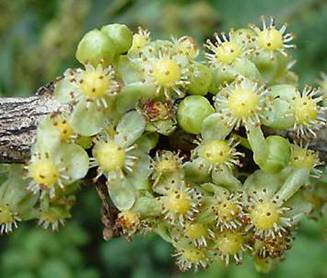 The fruits are also fermented for making a pleasant alcoholic beverage and country wines. 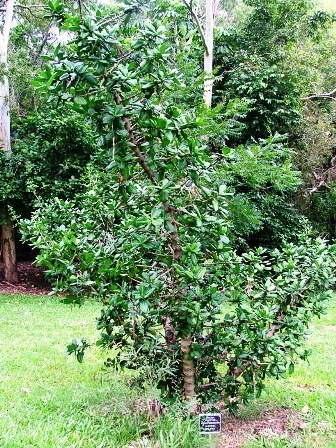 The tree is used in traditional medicine, and in particular the powdered root is used as an aphrodisiac. The wood is susceptible to borers, but has been used as a general-purpose timber. African mangosteen is cultivated commercially for its fruits. But it is worth having in any warm subtropical garden. It can be propagated by seed. 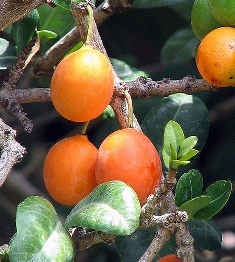 In many cities of South Africa, the plants of this fruit are sold by the nurseries. African mangosteen is a slow growing tree. It does not require any special care. Once the plant is established, the African mangosteen will need almost no maintenance.